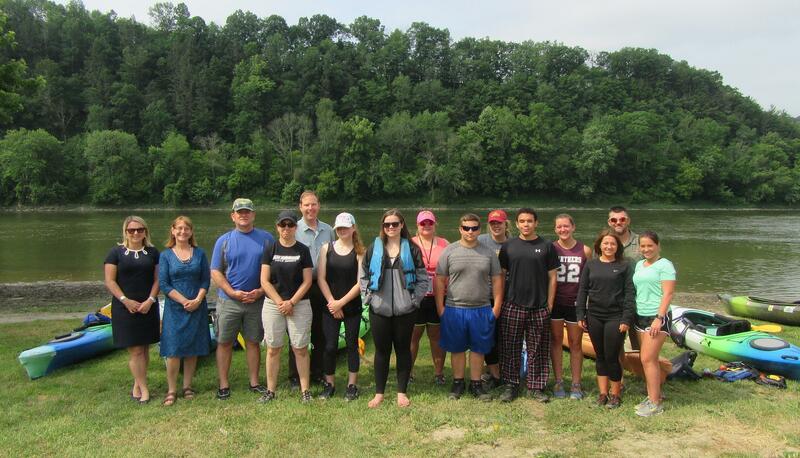 Participants in and supporters of the Endless Mountains Heritage Region Student Paddle on June 15 and 16 included (above, from left) Daria Fish, Chief Oil & Gas; Annette Schultz, EMHR; Ed Bustin, Bradford County Commissioner; Lorne Possinger and Christine Dettore, DCNR; Erin Nichols, Northeast Bradford High School; Courtney Bennett, Towanda High School; Tina Champluvier and Caitlyn Doerner, Endless Mountain Outfitters; Richard Morse, THS; Dante Jeffreys and Krista Hallett, NEB; Hillary Robinson, EMHR; Keith Brown, THS teacher; and Gabe Robinson, volunteer. 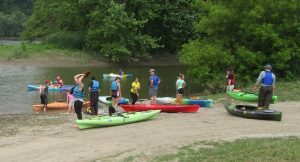 While the number of students who finally got on the river as part of the 2017 Endless Mountains Heritage Region Student Heritage Sojourn was limited, they got quite a send-off Thursday from event organizers and supporters at Larnard-Hornbrook County Park in Shesquequin Township in Bradford County. On June 15, EMHR director Annette Schultz (above, left) , sojourn coordinator and Towanda High School teacher Keith Brown, Bradford County Commissioner Ed Bustin, Bradford County Tourism and Promotion Agency director Robyn Chamberlain, DCNR regional representative Lorne Possinger (below), and Chief Oil & Gas public relations director Daria Fish, and EMHR board member Rick Hiduk offered brief remarks at a launch ceremony. 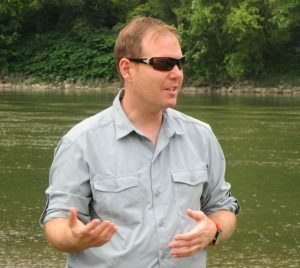 The students were hailed as the future stewards of the nationally-celebrated waterway and encouraged to share their experience with others to increase participation in such events. 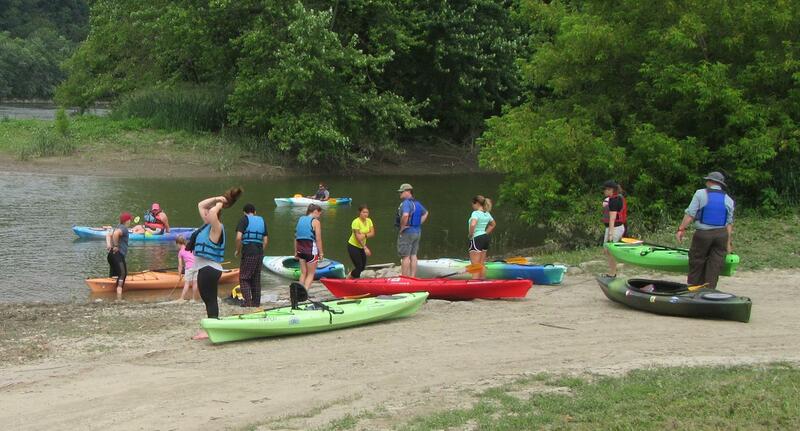 The sojourn was originally planned in May but the paddling portion had to be rescheduled due to high water and persistent rain. Nonetheless, those registered were given the opportunity at that time to spend two nights at Camp Lackawanna in Wyoming County. A number of schools opted out of the camping adventure due to weather conditions at that time, but students from Northeast Bradford, Towanda, Wyalusing and Troy persevered with no regrets. At Camp Lackawanna, they engaged in team-building activities and learned about nature and history. 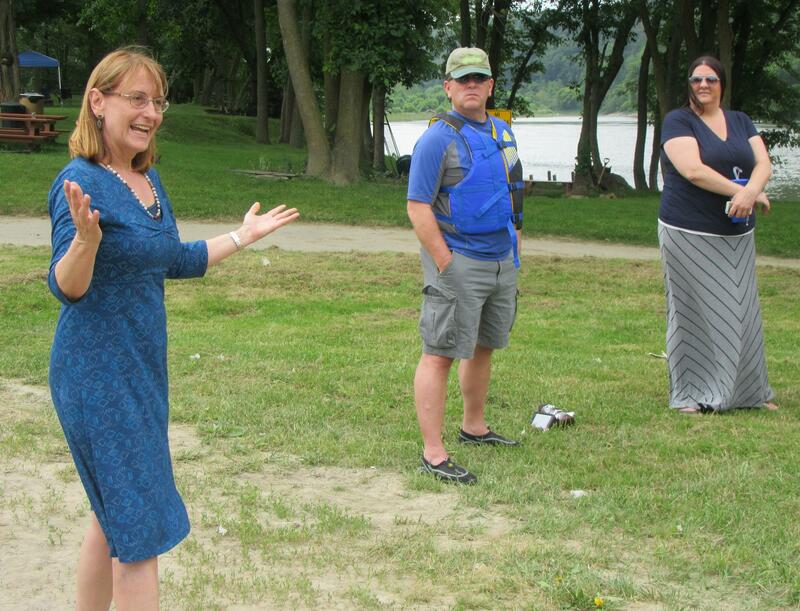 The students and their chaperons paddled yesterday to the Wysox Public Boat Launch, where they paused for lunch before paddling to the French Azilum Historic Site in Asylum Township to camp for the night. An evening program there included storytelling by Scott Davenport, and opportunities for the students to play music around the campfire. The sojourners awoke to light rain this morning, and expected the showers to follow them on the final 15 miles of their journey to Sugar Run in Wilmot Township, where Bustin is slated to make final remarks.